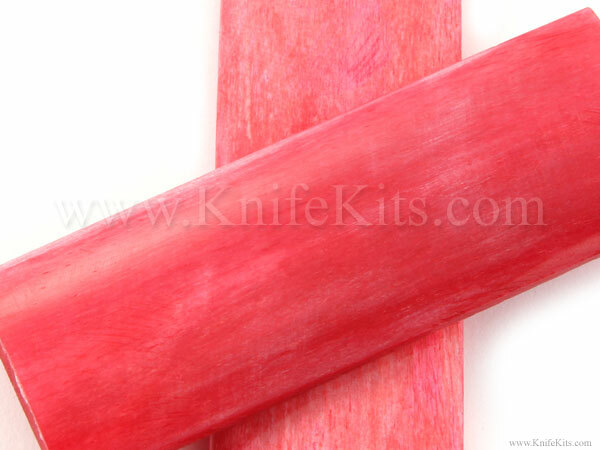 These flat-top handle scale blanks are made from natural cow bone and are dyed "Watermelon" in color and are stabilized for high performance. 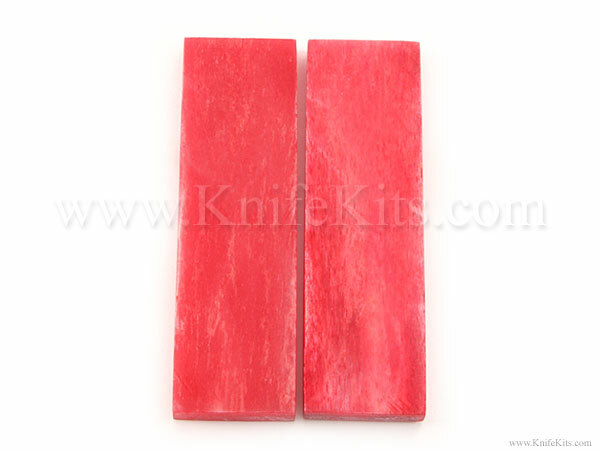 These have a great smooth bone finish and have been matched for size and grade. These scales will look great as full handles, inlays or as beveled overlays. As a natural handle material, they can be finished in a multitude of ways and will add excellent value to your finished work.